Your article, ?Technology, Cash Discounts May Become Barter Industry?s Major Challenges,? in last week's Tuesday Report inspired me to write the following. The Tuesday Report of November 22 warned that technology is becoming ?another growing competitor? of the barter industry. This is a warning that must be taken seriously. Fortunately, technology is available to all (to be used) and the barter industry is better positioned than anyone to take advantage of the new technologies. How is that so? Your article noted that ?today's typical exchange has a preponderance of service businesses as members.? The geographical limitations upon the delivery of services has up to now enabled trade exchanges, with their focus on local markets, to ignore the development of online markets, but that is about to change. Citing technological and market developments such as Craigslist, eBay, and Google Base, with their new focus on local markets and the service sector, the article argues that ?a major shift is underway in how consumers and small business owners shop for local services.? The truth of that observation is undeniable, and in fact, understates the case, which is further supported by considering such other market entrants as Matchbin. One essential feature of Matchbin is its attention to local markets that are managed online and networked together. The Matchbin motto is, ?locally focused while globally connected.? Another distinguishing feature of Matchbin is its strategy of building customer base by soliciting groups that are already connected. Its ?Buddybin? feature enables participants to create networking connections similar to Linkedin or Friendster. Matchbin describes itself as ?a dating service for your stuff.? Clearly the future of marketing is online, and any trade exchange that does not soon extend its own marketplace into cyberspace will be left in the dust. But the most important point is this. Not only is technology changing ?the way consumers and small business owners shop for local services,? it's changing the way they PAY for both services and products, not just locally, but globally. Editor?s note: A set of standards (standard procedures & protocols) as alluded to by Greco has been a topic of discussion at the last two International Reciprocal Trade Association conventions. International Monetary Systems Ltd. (OTCBB:INLM) has announced its third-quarter earnings which ended September 30, 2005. Gross revenue increased 43% to $1,674,526 compared to $1,169,918 for the third quarter of 2004. 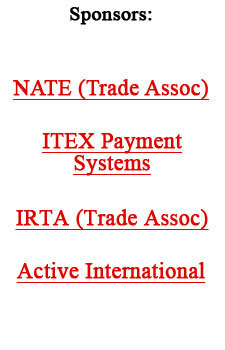 The increased revenue was a result of five acquisitions and the internal growth of Continental Trade Exchange (CTE). IMS?s year-to-date consolidated gross revenue for the nine-month period ending September 30, 2005, totaled $4,415,165 compared to $3,347,528 for the same period in 2004, an increase of 32%. Total expenses for the nine-month period were $4,254,309 compared to $3,267,479 for the same period in 2004. Year-to-date net income for the first nine months of 2005 was $120,656, compared to $61,686 for the same period ending September 30, 2004, an increase of 96%. CEO Don Mardak affirmed, ?With year-to-date earnings up 96%, we are on target to hit all of our projected numbers. These continuing good results validate our growth-through-acquisition strategy.? They?re doing it by ranking their hourly employees, and then rewarding managers for retaining the better workers. Managers get rewarded on how well they retain the top 80% of their staff, the ?A? workers (top 20%) and ?B? workers (the middle 60%). To win employees? loyalty, managers award them ?Applebucks? points, the company?s currency, which can be used to acquire various goods and services. The system is working, having reduced the annual turnover rate among hourly employees by almost half in four years. Less than half (48%) of these investors are betting on new start-up businesses, a drop from 59% a year ago. And for years prior the figure was around 75%. Where are the ?angels? investing? In later-stage companies, as their business plans appear better prepared and fleshed out. ?Big? is in, in the venture capital world these days. Industry data shows they?re putting bigger chunks of cash into larger, more-established companies and easing up on earlier-stage investments. The VCs are opting for bigger investments in more mature companies because these firms might go public or be purchased more quickly than newer firms. The goal of any venture-capital investment is an ?exit,? usually in the form of an IPO or an acquisition. The art-and-culture industry in Santa Fe, New Mexico, generates one out of every six jobs and $1 billion annually. Nationally, Santa Fe ranks second in art sales to New York. Dubai Hotel will be getting Trump?s name, according to top Emirates developer firm Nakheel. The deal brings together two of the world?s flashiest developers, and marks Trump?s first foray into the Middle East. Trump isn?t required to invest any money, instead trading on his name to provide its brand to projects that could be entirely financed and built by Nakheel. Dubai is one of the world?s fastest-growing cities, and is emerging as a hub for business and tourism which last year doubled to 5.4 million. American Express is launching a new type of insurance for frequent flier miles. The product, called Air Miles Protection, starts at $5.40 a month for 60,000-mile or 100,000-mile plans at seven airlines, including Delta Air Lines, United Airlines, and Northwest Airlines. If an airline ends its frequent-flier program and no other airline continues it, American Express will insure the miles that are lost. The program will give travelers cash value for unusable miles, i.e. $50 for every 3,500 miles they redeem. The money is good only for buying airline tickets with the American Express card, and is presently available in 38 states.